There are few portable geneaology tools and even less are in active development. 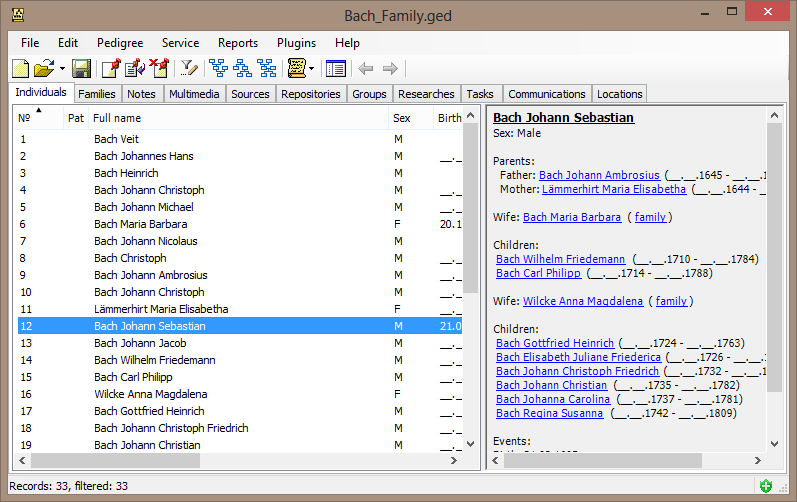 Some time ago I discovered another free, open source and cross-platform (it runs under Windows and Linux) geneaology program- GEDKeeper, which looked very solid, customizable and powerful but it was not portable- data and settings were saved in AppData. I rummaged through Issues and I found one concerning portability, which was closed long ago. I requested portable version, the developer- Sergey Zhdanovskih, took my request seriously and as a result two days ago he released a fully portable version of the program. I am glad to introduce GEDKeeper to the community. 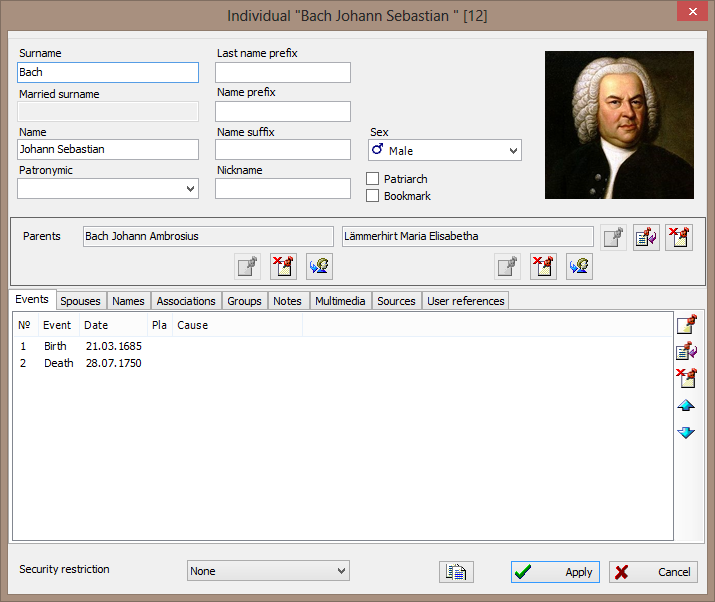 GEDKeeper program is developed for work with personal genealogical database. The program is designed for extremely simple and intuitive interface. 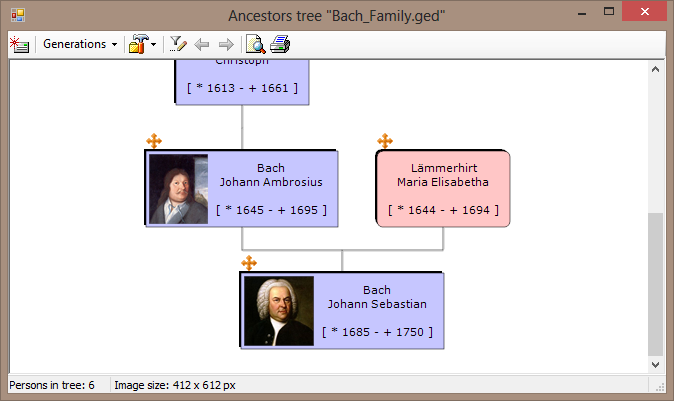 The program is very easy to install on the computer, fully supports the GEDCOM format, has no restrictions on the number of persons and generations, allows you to generate pedigrees, building several tree species, as well as print and save their images, provides fast navigation, filtering, searching and adding multimedia materials. In addition there is an output of geographic data on Google maps (© Google). The aim of the program is as quick and effective means of conducting personal genealogical database. 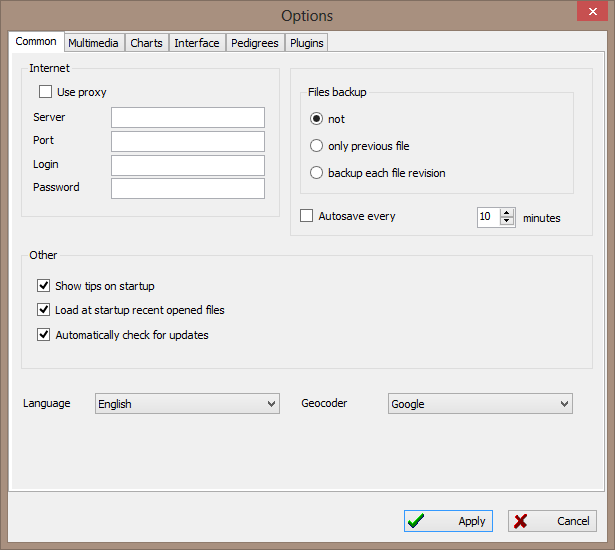 GEDKeeper version 2.14.0 is the first portable release of the program- data and settings are saved in appdata sub-folder inside program folder (GEDKeeper2.ini, GEDKeeper2.log and GEDKeeper2.nms files and imagecache sub-folder). A portable application, is a program designed to read and write its configuration settings into an accessible folder in the computer, usually the folder where the portable application can be found. This makes it easier to transfer the program with the user's preferences and data between different computers. First method: to make GEDKeeper portable just create folder `appdata` (for Windows) in the directory where GEDKeeper2.exe is located. Second method: the `GEDKeeper' has the `-homedir:path` command-line option which, for example, stores the application's configuration files. User may define a relative directory, if he/she wants to specify "the current directory" (the current for environment or for GEDKeeper binary, etc). If the option is not used, the "home directory" defaults to system dependent path (like `%APPDATA%\GEDKeeper2`). In the case that the subfolder `appdata` is in the program start folder and the command line argument` -homedir:path` is given - the priority for the command line argument and the subfolder will be ignored. 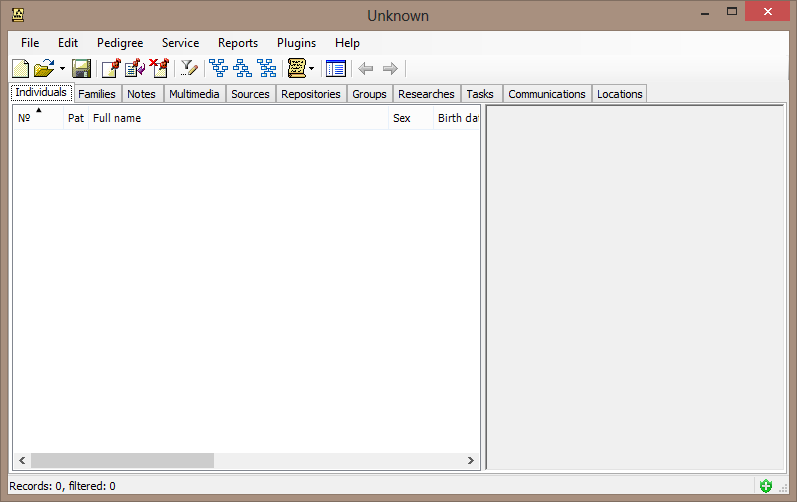 GEDKeeper requires Windows XP or higher and .NET Framework 3.0 or higher. GEDKeeper is licensed under GNU General Public License v3.0. GEDKeeper is not very bulky- when uncompressed it takes 33.7 MB of disk space. GEDKeeper is not heavy- it uses about 22 MB of RAM (under Windows 8 x64). GEDKeeper comes with comprehensive and detailed help file. The developer- Sergey Zhdanovskih, is helpful and open to suggestions. I am glad that he took my request for portable version seriously and implemented portable mode quite fast. I would like to thank him again here.